Want any more reasons to attend Receipt Bank Exchange Australia? 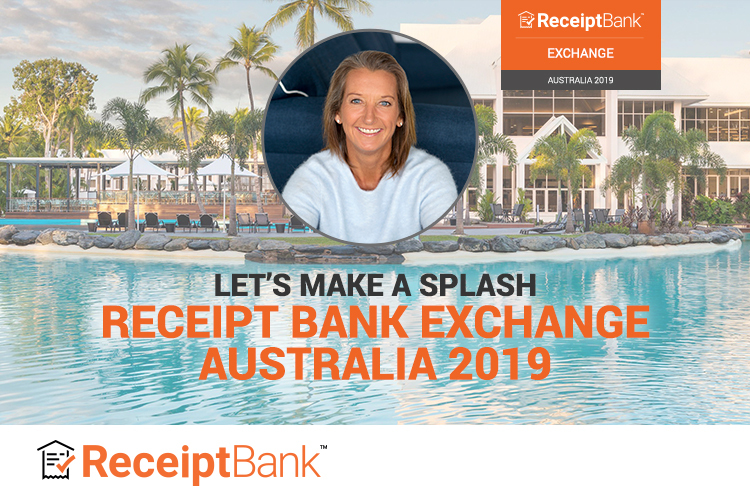 Layne Beachley, eight-time world surfing champion, will be sharing her stories from the surf at this year’s Receipt Bank Exchange Australia. Layne paved the way for female surfers to be respected on the waves. In her words, “she battled in the boardroom and battled in the waves” to fight sexism and ensure women are valued by the surfing world. We are thrilled to have Layne join our speaker line-up at Receipt Bank Exchange, a three day, all-expenses paid trip to the Great Barrier Reef. Remember, securing your place is as easy as earning 100 points! In an extraordinary 20-minute Ted Talk recapped below, Layne Beachley reflects on the power of self-belief in adversity. In September 2018, more than a decade after winning a record seventh women’s world surfing championship, Layne Beachley returned to the waves to scoop an eighth title: the first female winner of a WSL world masters crown. Now, she is dedicated to helping young women pursue their passion and gain financial assistance with the foundation, Aim for the Stars. Here are four key takeaways from Layne’s Ted Talk, ahead of Receipt Bank Exchange Australia. In Layne’s Ted Talk, she describes the moment she stepped into the best version of herself as the moment she stepped into history books. Her self-belief propelled her forwards, so that she returned, time and time again, to the sea: a place she felt nurtured and connected, despite it being an unwelcoming place for women. Her Ted talk also touches on the importance of interrogating your belief system. Avoid the ‘dream thieves’ and ‘life vampires’. Layne Beachley started learning to surf when she was just four, catching swells on a foam board. In the early eighties, surfing was known as a hobby for men. She was often the only girl in a sea of boys, and was splashed, growled at, yelled at, and sometimes, ordered out of the water. She called these people ‘dream thieves’. “Distance yourself from people who bring you down, and spend more time with those that lift you up. Surround yourself with a great team, and people that help you become a bigger, more confident human being. Who brings out the best in you?” asks Layne. These are the people to spend more time with. You are 42% more likely to achieve your dream if you write it down, and stay accountable. Layne used to write down her goals and stick them on her bathroom mirror. “Share yours on social media, and proclaim them with potentially thousands of strangers online,” Layne recommends. Layne retired from the professional tour to become a dream-maker: dedicating herself to help other women to conquer the surfing world and achieve their dreams. She staged her own contest paying more in prizes money than any other on the tour, to ensure women are afforded the same opportunities as any man. As a former world champion surfer, her mission is to help all women around the world know that they belong in the sea and on the waves. We are thrilled to welcome Layne Beachley at this year’s Receipt Bank Exchange Australia, and hope you will join us! Layne will be talking about “Risk Taking and Setting Big Goals” at this exclusive retreat, open to accountants and bookkeepers in Australia. To find out more, please register below.